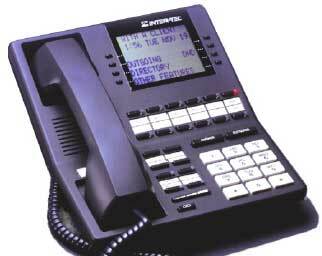 This Inter-tel Axxess phone is a large Display Phone that has 12 programmable buttons, that can be configured for lines. Compatible with the Intertel Axxent and Axxess phone systems. Available Refurbished one year warranty in the Charcoal color.